Every diet has it’s pitfalls – common nutrients you may be missing! What’s wrong with the way we eat – A very interesting and amusing video of a talk by Mark Bittman, a New York Times food writer. This week has been pretty busy. Juggling the usual house chores, business bits, research, daily tasks etc, but also getting ready for launching this site and starting some exciting projects. I also have family coming to stay all of next week. When you’re used to the apartment pretty much to yourself and your partner, that’s a long time with others. Don’t get me wrong, I love them to bits and am looking forward to having them here, but I’ve always used my home as my escape, you know? That “off” area. Where I can poke my stomach out, remove my make up, toss my hair up into something resembling a drunken birds nest, and just be, do, watch, read, or yap on about whatever I want. No judgement, no rules, just me, chilled out. You know what I mean? Having people over for an extended period of time, I often find myself racing around trying to be this prim and proper perfect hostess, putting everyone’s needs before mine, and making sure mouths are fed, bodies are washed, they’re entertained, they have their space, they are content and they have “enough”. Enough. As long as they were satisfied, it didn’t matter how run down I was feeling, or that I was eating food I shouldn’t be, it made me feel like I had accomplished something. Anyone else get that? Once they leave of course I’d go back to my normal ways, and my home once again is my haven. Having kids I imagine would be like this – forever. That alone makes me very aware that I am not ready for kids, yet. Anyway, the point of this post is to remind you that sometimes you really do just have to turn it all off. Whether it’s at home/your room, at the gym/yoga, at a beauty salon, at the park, even in your office cubicle! Take 5, 10, 15 minutes of solitude to maintain your sanity. Just drop everything. Silence the phone, put your laptop to sleep or lock your computer, lock your door if you must. Now, what are three things in life you are grateful for? Be specific. It can be as little as having pens that are working for once or someone you dislike is away from the office today, or your child went down for an easy nap. Something bigger? You are healthy today. You have an amazing (insert person) that loves you dearly and supports you. Whatever it is, take a few moments to really think about each. Allow yourself that little smirk, that chuckle, or smile. Or that sigh of relief. It’s only been a few minutes. So for the next two, go outside (if you can i.e. no danger) and just breathe, and look around. Become a person of observation. You’ll start by noticing the usual – buildings, trees, signs, people, whatever it is that’s near you. Good start. Now look a little closer. Notice the shapes of the trees, how high the buildings are, how the gravel is not just grey but has lots of bits and pieces in it. That amongst the concrete jungle, tiny little sprouting plants somehow grow through the cracks. Isn’t that fascinating? How did that one little seed make it’s way to that spot right there? You might think I’m crazy by now, but if you actually went and did this, just for a few minutes, you’ll realise how truly calming it is to step outside of yourself, and be really in that exact moment. If you can’t get outside. Watch this video. Water has such a calming effect for me, and many others I know. Put your headphones on and watch the video without distraction. Last Updated: April 28, 2017. Chronic high stress and not having the time to look after myself with proper nutrition and exercise made my bearable IBS turn into full blown ‘can’t ignore the signs’ stomach troubles. 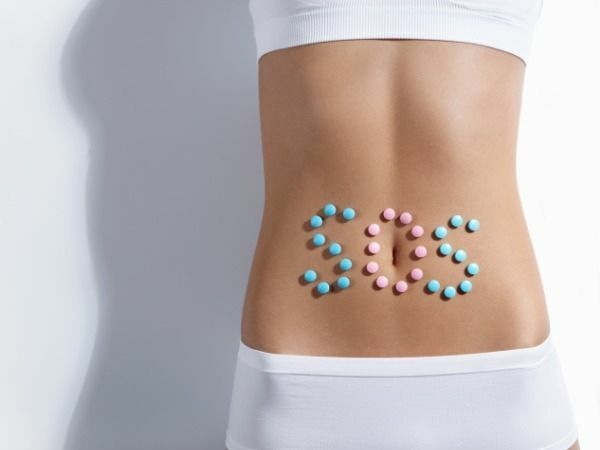 My IBS now had a companion – fructose malabsorption. My skin broke out, my nails were tearing and frail, I looked tired, I had trouble sleeping, I was emotionally unstable, I’d bruise easily and they would take ages to heal, and I lost weight (not the good kind – the kind where my brother told me my head looked a bit big for my body!). Before you go assuming that the marketing department would never try and blindfold you, and that putting that ‘healthy’ product into your shopping trolley is a good idea, let’s dig a little deeper shall we? As dietitians, we are forever ranting on about how important it is for everyone to read the labels of the products you want to eat. What we are talking about here, isn’t seeing the word ‘wholegrain’, ‘natural’ or ‘fat-free’ and thinking the job is done. No, that’s not looking at the nutrition label. That’s simply looking at the packet. Front and centre, where your eyes just so happen to fall on the bright fun coloured words that promise the product is awesome for you. No, dietitians want you to bypass all that marketing hoo-ha, and actually pay attention to the ingredients list and nutrition info. The nutrition panel is what holds (most of) the secrets of the product. This is your consumer weapon against misleading advertising and clever marketing tactics that lure you in. Now, as much as I’d love to trust the packaging, and occasionally I get sucked in too (usually because the pack is pretty), it’s important to really understand how to make sense of the panel, or the ‘NIP’. The ingredients list is arranged in the order of highest to least amount. Meaning the first item on the list is the main ingredient, the second is the second, third the third….you get my drift. If a list goes on and on like a novel (more than 8 ingredients that aren’t fruit, vegetable or grain/seed), leave it on the shelf. Who needs all of that in a mere few mouthfuls? The exception here are wholefood snacks and treats. When comparing products, make sure you use the 100g column, as the ‘per serve’ column will send you astray. Even if it’s a similar product, the food manufacturer can make their serve size smaller or greater than other products to seem more appealing. Less fat per serve? Brilliant, no?! Compare the 100g columns, and you’ll sometimes find it’s actually got more fat than the one that appeared higher in fat per serve. We’ve gotta keep it a level playing field! Use the 100g column. Sugar isn’t just sugar. Fat isn’t just fat. Ever thought a product was awesome cause someone told you to avoid an item that had sugar, fat or salt as the main 3 ingredients? While they were right, what they may have skipped is that these 3 common ingredients have an abundance of doppelgängers given fancy names. Sugar = brown sugar, honey, fructose, dextrose, maltodextrin, high fructose corn syrup, corn syrup, rice syrup, maple syrup, golden syrup, inverted sugar syrup etc etc. Fat = oil, butter, cream, hydrolysed vegetable fat, palm oil, shortening, milk solids, copha, tallow, lard etc. Fat, sugar or salt not in the first 3 ingredients? Awesome! But that still doesn’t mean it’s not 50% sugar once you add all the sugar contents below that top 3 line. This leads me to my next point. Once you’ve checked out the ingredients list. Head back to the nutrition info table. Once you’re happy with the ingredients list of your product, check these three things. 4g is 1 teaspoon of sugar. Per serve, how many teaspoons of sugar does that product have? I’m talking about processed packaged foods here, not a bottle of honey, fresh fruit, dried fruit or a bag of sugar type thing. If it’s got more than 2-3 teaspoon per serve, it’s a treat only. If it’s got more than 3, put it back. Would you ever put more than 3 teaspoons of sugar into your tea or coffee? (If yes, you should probably contact me to sort that out). If no, why eat that much in a food? Limit your intake of added sugars to 6-8 teaspoons (24-32g) a day. Naturally occurring sugars and artificial sweeteners are another story. 5g is 1 teaspoon of fat. Per serve, how many teaspoons of fat does that product have? 1 gram of fat has 9 calories, protein and carbs have 7. Meaning the more fat a food has, the quicker it’s calories pile up. Lucky for us, fats are quite satiating so having them in our diet will help us maintain or lose weight (threw you a little curve ball there didn’t I?! ), but only if we keep portions in check. The quickest solution? Skip the deep fried foods, packets of chips and junk food as you just don’t need them. They’re not giving you anything good, and potentially doing you some harm (clogged arteries anyone?). Get your fats from unsalted nuts, pure oils, fish, and avocado. These babies are full of anti-ageing, nourishing goodness. 400mg of sodium, is the equivalent of a good pinch of salt (1 gram). Per serve, how many grams of salt does that product have? Aim for less than 400mg/serve. Fibre, glorious fibre. This baby will make you feel fuller for longer, help control your blood sugar, manage your cholesterol, reduce your risk of chronic diseases and of course, keep you regular. This one is simple. The more the better. There’s no upper limit set, meaning so far we haven’t really seen any concrete negative side effects from high doses if you get it from a variety of sources. Plus considering most of us aren’t even meeting the recommended 25-30g a day, go ahead, fibre up! Bottom line: check your portions, read your NIPs and eat loads of whole foods. We are often quick to criticize the diets of others, and the habits we find foreign. It’s easy to scoff at a vegan for their ‘silly’ ways when you’re a meat lover, it’s easy to shun the idea of gluten free when you love a hearty bowl of pasta, or a dairy free diet when you can’t go a day without your milk and yoghurt. What on earth do these people eat?! Sometimes it’s impossible to fathom what a healthy diet might look like for someone with dietary restrictions. Whether they be self-imposed or out of necessity, it’s important we realize the diversity and the ability for food to nourish us whilst sticking to a meal plan that may seem strange to others. I’m talking about the diets that have been around for years; Vegan, Vegetarian, Carnivore (or ‘normal’ as some people would say), and lacto-ovo vegetarian (consumes dairy and eggs). In addition to the more recently used Flexitarian, Raw, Low FODMAP, gluten and dairy free, as well as Paleo and Primal. Fad diets in this article don’t get a mention. All these diets are either chosen for us (genetics, disease, illness) or we have chosen to follow them for a number of reasons (ethics, religion, improved health, ‘diet du jour’ trends). What we may not consider, regardless of what we believe, and consume, is how to ensure we are giving our bodies what it needs. Simplifying food to calories, or macronutrients (protein, fat, carbohydrate) is simply not enough. Have you been on a diet recently and felt really tired? Got really hungry? Got cranky? Movements in the bathroom really slowed down? Bad breath? Increased gas? All of these are signs of an unhappy digestive system and an unbalanced diet that isn’t totally agreeing with your body. You’ve heard it before, but what one person eats for good health, doesn’t mean it will be ‘healthy’ for you. Natural foods contain macronutrients, micronutrients (vitamins & minerals), fibre, antioxidants, water, electrolytes, naturally occurring chemicals, acids, sugars and starches just to skim the surface. What this means is that some of us can tolerate some foods better than others. For example, your friend’s favourite food might be a margherita pizza, and they could happily eat the whole thing (I don’t recommend this). Whereas you may have one or two slices and shortly after look 4 months pregnant, be curled up in pain, and wanting to crawl into bed with bloating, gas and an uncomfortable stomach. Alternatively, it’s summer and you have a big bowl of gorgeous looking fruit salad to share with your friends. There’s mango, watermelon, apples etc. That’s healthy right? Not for some. For those with a tummy sensitive to fructose, this is a big bowl of pain and bloating waiting to happen. My point is, is that when embarking on a new diet, or assessing the diet you’ve always had, its important to recognize that your body is unique, and that food is much more complex than it seems. I don’t expect you to want to know everything about food, it may not be your interest. But if you have symptoms that don’t seem quite right, or you don’t quite feel your usual vibrant self, then you need to consider if your diet is actually right for you. Eating the ‘right’ foods is the first step. Ensuring adequate digestion of the nutrients from that food is the key to improved health, a happy tummy, better complexion, improved cognition and a leaner body. How do you do this? By eating the foods that agree with you. The timing and type of symptoms you may have, guide dietitian’s (versed in the area of food intolerances) to pinpoint what you should avoid or limit, for your own optimal health. If you have any of these symptoms, it’s likely some foods aren’t agreeing with you and you may have a food intolerance. Seek medical assistance immediately, and later have challenge testing for food allergies under the guidance of a qualified health care provider. You may have a food allergy. If mild, symptoms may be managed with anti-histamines and limiting your intake of the food. If the reaction is severe, and/or life-threatening, complete avoidance of the food, including cross contamination from other food through preparation utensils/plates and friends/family etc is necessary. So next time you question why on earth someone would give up certain foods or complain that it’s a nuisance having them over for a meal, sideline the judgement. Remind yourself that it’s not weird, strange or silly. It’s made their lives a whole lot better. For some, it’s saving their life. Who knows, perhaps dietary changes would improve your life too? In my teenage years, my body and everything to do with it became very much the front and centre of my existence. Not only does high school teach you english, maths and science, for girls, it also teaches you how to judge other women. Your friend ‘matures’ quicker than you, the boys notice, and you think something is wrong with you. Girls start wearing shorter, tighter, more revealing clothes, and the commenting, judging and critiquing begins. Not only do we learn critiquing others as some sort of social ‘skill’, as a rebound effect, we start comparing ourselves. Comparisons are dangerous. I remember once I stared so hard in the mirror hoping my “faults” would change, disappear or improve. Ladies, once it’s set, bone structure won’t change no matter how long you stand there trying to compel it! As women, and individuals, we look too closely at ourselves. We’ve got our faces pushed up to mirrors, complaining about the latest teeny wrinkle, or the temporary blemish that we all dread. Whilst none of us want wrinkles or blemishes, what I’m getting at is that we are by far our harshest critics, because we are so up in our own faces and aware of our bodies all the time. Noone else repeatedly dresses us, puts our make up on, does our hair, washes and moisturises us and knows our shape as intricately as we do. The other day I was at a seminar and the speaker asked us to tell the person beside us what you think is one of your greatest fears that was holding you back from being amazing. So I turned to my best friend and shared my little secret. She looked at me with a “huh? !” face, and said “if someone ever asked me to answer that question for you, that would NEVER have been my response”. It made me question myself. All of those niggling thoughts and beliefs about what my physical “faults” are, aren’t even a big deal to anyone else? If noone else cares, why should I? Why do we feel compelled to judge each other so harshly, and even more so, who are we to judge ourselves so brutally? Whilst the occasional social judging and critiquing seems to be embedded in our nature, wouldn’t it be nice if just for today we could compliment someone to their face, instead of talk about them behind their back? Even better, instead of the early morning ‘oh man, I’m so fat’, how about a ‘damn, I look hot today!!’. Even if you feel silly, at least it will make you laugh, and you’ve started your day on a positive note. Perhaps it will rub off, and you’ll be in the complimenting mood for the rest of the morning? Low fat, high-fat, low-carb, high-carb, and high-protein all had their day, and avid followers are still around. We’ve been teetering and tottering with macronutrients for decades and still for the most part, reach the same frustrated conclusion from studies and health professionals – everything in moderation. Whilst this is a nice succinct way to sum up a healthy eating guide. It leaves us a little lost as to “what to do now?”. We like guides, a check list, and a sense of accomplishment. A pat on the back, a looser fitting skinny jean and a personal best in the gym. Who doesn’t enjoy being complimented for eating healthy, sticking to a ‘diet’ and getting results (albeit usually short-lived)? In our attempt to find the one aspect of food that is ‘failing’ us, making us fatter and more miserably unwell, we gave up a little on the macronutrients (protein, fat and carbs). We’ve looked at the Glycaemic Index (GI), good and bad fats, and complex vs simple carbohydrates, further uncovering how complex and intricate food and it’s relationship with our body really is. But what the hell is low GI? How do we easily find out what foods are low GI? This stuff isn’t common knowledge, and it’s complicated. Who has time for that? Personally, I aim for a diet that’s low GI and I appreciate all the hard work researchers do on the subject. But we need an easy to follow guide to make eating low GI a daily habit (maybe I should create one for us!). There’s the Low GI symbol you see on food packets, but that doesn’t help those of us that want to have a diet predominately filled with wholefoods, without labels. If you have some spare time you can check individual foods here. A great tool, but time consuming. ‘Good’ and ‘bad’ fats. A topic recently dividing health professionals and the public. I’ll keep it simple on this one. The bottom line here is: fill your plate with foods, not oils. Choose the right oils for the right temperatures and have a variety of fats. Now fat is out of the way, what about protein and carbohydrate sources? This is where personal trainers and fitness enthusiasts usually chime in – “low carb, high protein, meat, meat, meat, forget about wheat! !” At least that’s how media portrays it. Eating paleo is a meat fest though, no? No, it doesn’t have to be and it shouldn’t be – cause that wouldn’t be balanced now would it. It does exclude a hefty number of food groups, but this diet can still provide the nutrients your body needs if done correctly. Plus, no-one wants the side effects of a meat only diet – bad breath, bloating, constipation, gas that you’d warn your worst enemy to leave the room for. Not pretty. Protein should be moderate to high, lean sources for the most part, and unprocessed. See my post on additives here. This leaves us with carbs. Often left off the plate for quick weight loss, with good reason – carbs break down to glucose and some gets stored in our muscles. It also brings along its friend water. Hence the rapid weight loss when your body burns your stores when its food supply gets cut off. That ‘weight’ is mainly water, and your body is ready and waiting to add it all back once your done with your fad diet. And be honest, you don’t really want to avoid every carb on the planet for the rest of your life right? There’s way too many nutrients and benefits from eating the nourishing sorts! Ah sugar. We’ve managed to whittle our attack on food all the way down to these tiny molecules. Currently known as “poison” and “the devil”, there are many misconceptions running around and as a result, misinterpretations. When I think of sugar, I picture a pile of little white granules packed full of energy, and nothing much else. It’s sweet, but not the kinda sweetness you need in your life. White ‘table’ sugar is sucrose. Sucrose breaks down to glucose and fructose in the body. This is the one Dietitians and health professionals want people to omit as much as possible. It’s just empty energy, and too much contributes to cavities, rapidly raises your blood sugar and contributes to inflammation in the body – think chronic disease, weight gain, dull skin, and acne. There’s many refined sugars out there – high fructose corn syrup (HFCS), corn syrup, golden syrup, icing sugar, table sugar, etc. Refining an ingredient typically means stripping it of most of its beneficial parts and altering it in a way that it may function differently in a food. For example fats that are hydrogenated. These fats undergo a chemical change in their molecular structure making the fat stay firmer at room temperature. In the process, it can also create some trans fats – these ones are pretty heavily regulated to minimally exist in the Australian food supply due to its nasty ability to increase our risk of heart disease. In the case of sugar, the whiter it is, the more nutrients have been removed. Brown sugar contains varying amounts of molasses, the darker it is, the more molasses. Molasses is naturally found in sugar cane, but is the ‘by-product’ of the refining process to make table sugar. The molasses extracted from the third boiling of the sugar syrup is called blackstrap molasses. This is one you want. It contains iron, calcium, manganese, copper, potassium, magnesium, B6 and selenium. Plus it’s low GI – yay! If molasses doesn’t tickle your tastebuds, there’s also an abundance of natural sugars still retaining nutrients including – honey, 100% maple syrup, fruit and my personal baking favourite, coconut sugar. Fruit. Gasp! I mentioned the forbidden ‘F’ word. For those of you cutting out fruit for the simple idea that fructose is evil, perhaps you should think again. Yes, studies of extremely high doses of fructose in rats have shown a negative effect on the liver, and potential for inducing similar diseases in humans: heart disease, non-alcoholic fatty liver and diabetes. But there are gaps in the research that are currently preventing most Dietitians to change their stance on the topic. Some of the studies showed the same negative effect on the liver with a high fat diet alone, and hardly any top-quality controlled research trials on humans exist (to no-ones fault; this topic has only begun making headlines in the last couple of years!). Most of the research that is available comes from observational comparisons of high vs low intakes of sugar sweetened beverages and excessive intakes of HFCS – a sweetener used widely in America. Australia doesn’t have many products with HFCS. We are however eating too many processed foods with high sugar contents; sugary drinks and not enough whole foods. Herein lies my issue with banning fruit. Not even half of Australian women and men are eating the daily recommendation of 2 serves of fruit! We’re eating all the other sugary processed foods instead! Banning fruit and honey because they are high in fructose is not the answer to your health woes (unless you have hereditary fructose intolerance!). May I suggest we keep the fruit, the occasional spoonful of honey, and cut out the unnecessary soft drinks, sugary packaged goods, and keep an eye out for HFCS on our labels? After all, fruits are packed full of vitamins and minerals that help keep us beautiful and our body functioning well. Have your two a day, and skip the rest.